The ancient technique of smoke firing transforms raw clay into durable ceramics while carbon from burning leaves, sawdust, or paper embeds itself in the clay, mottling it with blues and grays, leaving cloudy forms around resist materials, or blackening the surface completely. Each smoke-fired piece is a unique record of collaboration between heat, chemistry, and creativity. The method has its roots in traditional pottery, but its technological simplicity lends itself to today's artistic improvization and experimentation. Jane Perryman explores creative possibilities of this time-tested yet liberating method in Smoke Firing: Contemporary Artists and Approaches, a survey of the varied work of contemporary ceramicists from around the world. After a brief introduction to the cultural history of smoke firing, Perryman and leading ceramics practitioners share the latest ideas and innovations in the use of bonfires, containers, earth pits, saggars, and kilns. As artists from 17 countries discuss their work, they reveal the meaning and inspiration behind their creations. Smoke Firing contains dozens of full-color photographs of ceramics and ceramicists in action, plus a special chapter on smoke firing for educational groups and workshops. 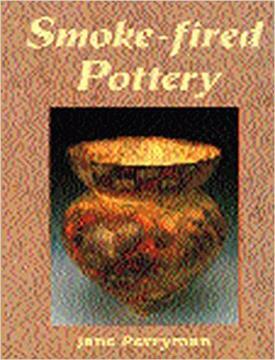 Handsomely illustrated, Smoke Firing is an inspirational resource for ceramics and pottery devotees, from seasoned craftspeople to curious collectors.